We already had a preview of the upcoming makeup products such as lip lacquers, highlighter sticks, eye shadow palettes and foundations. So let’s take a look at cheek palettes, and there are quite a few, these are just the ones I’ve chosen. 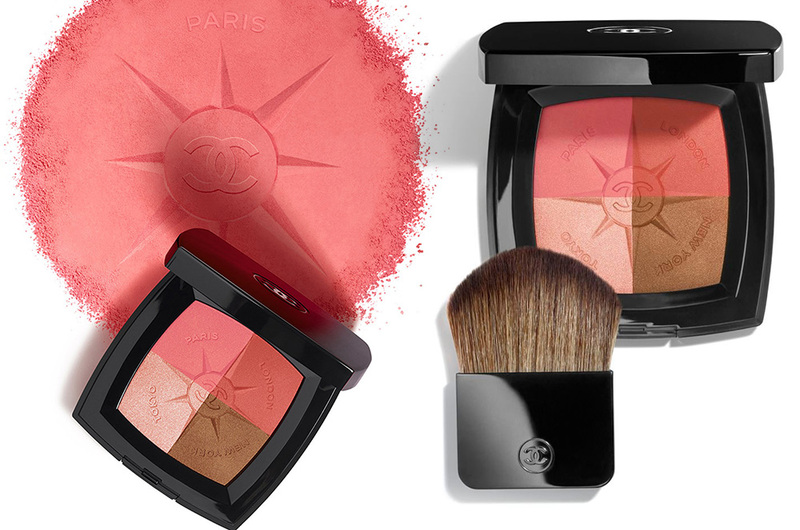 Without a doubt, the most covetable palette of the SS19 season will be this lill gem from Chanel – Voyage de Chanel (£52 from the website) which is a blush/illuminating powders quad. Paris – A fresh and satiny pink blush that recreates the flush of brisk air of Paris along the banks of the Seine River. London – A deep coral blush, inspired by the colourful façades of the Portobello Market in Notting Hill. New York – A satiny powder that brings to mind the metallic golden finish of the Brooklyn Bridge. Tokyo – A subtly rosy illuminating powder that recalls the poetic grace of cherry blossoms in Japan. I really love reading (or watching) about people’s top favourite beauty products, as this is a great way to discover new gems. I have posted 15 favourite makeup products of 2015 so now it is time to post about my most loved makeup products in 2016. Unfortunately, four products (Dior lipstick , Illamasqua nail varnish, Clarins bronzer and eye shadows) that I absolutely adored and used non-stop this year are no longer available so I will have to mention only those items that you can still get. This was pretty much the only base product I have been using ever since I received it several months ago. I still haven’t written a proper feature as I really wanted to give it a good test before that. The product definitely stands up to the “Skin Perfector” name, as it makes the complexion glow without looking too shiny or oily. 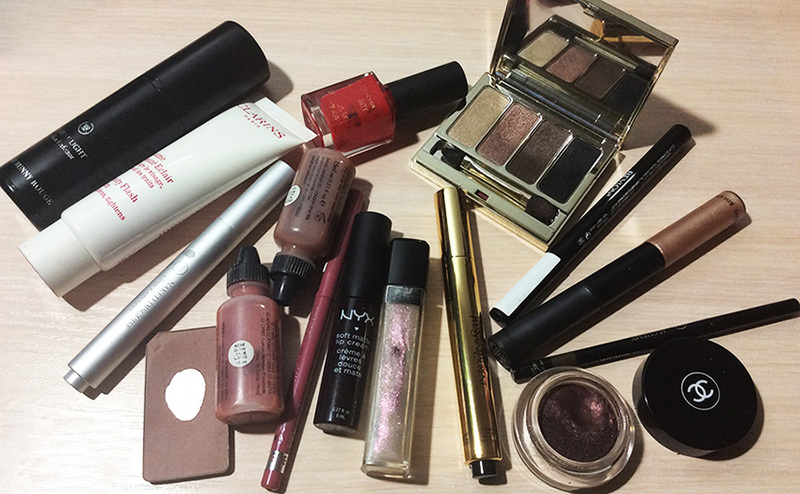 I also rarely use anything on top since it is a bit tinted. Not that I have a perfect skin but this is enough for me, I only use concealer where needed. This product does not need an introduction. I’ve completely used it up, hence I had to use a different Clarins product for the reference purpose. It is like a dry skin’s best friend, this tinted moisturizer never makes your skin look flaky and never accentuates the dry patches. Instead, the skin looks somehow “healthy” and radiant. Love! Regular readers will probably know that I barely ever use concealer because I don’t really mind a bit of dark-ish circles, as horrible as it sounds. But I personally hate the perfectly concealed under-eye area on myself. I also almost never get spots, so no need for the concealer in any other places. However, I do really like this product, as it makes the under eye area look better but without making you look like a mannequin. As you can see from the photo above, this product is very well loved. Perfect shade for light cool-toned complexions, and the formula is incredibly soft and easy to blend, too. Daniel Sandler Rose Glow and Golden Glow Watercolour Blushes (review and swatches). I have spoken about my love for the Daniel Sandler blushers numerous times but, I think, this year he really killed it. The two newest shades are to die for, and although I haven’t been wearing blush that much in 2016, I’ve been reaching for these most of the times I have. Watercolours give you the “blushing from within” kind of effect, a must try. If you are a bit scared of the liquid, which you shouldn’t be, Daniel also has cream blushes now. 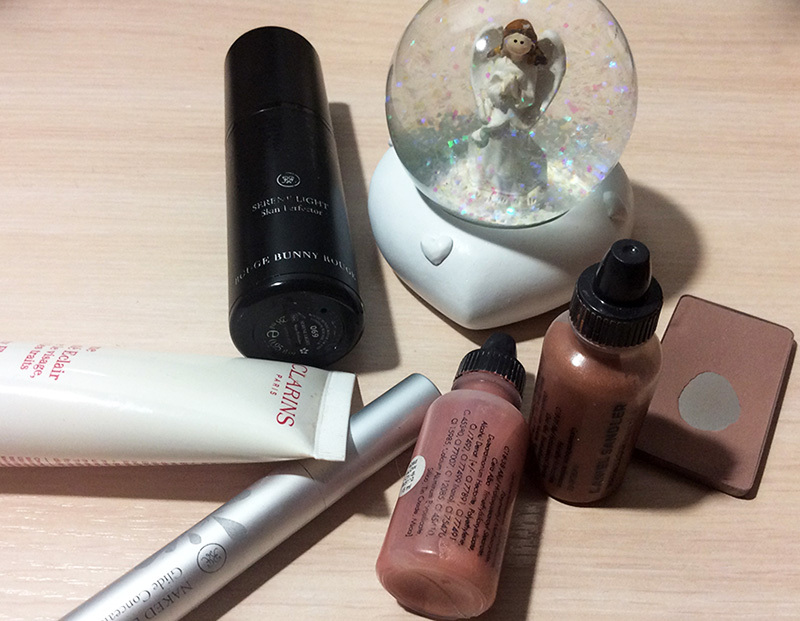 Here are some of the new products which caught my attention this week, and I have chosen makeup, skincare and fragrance. 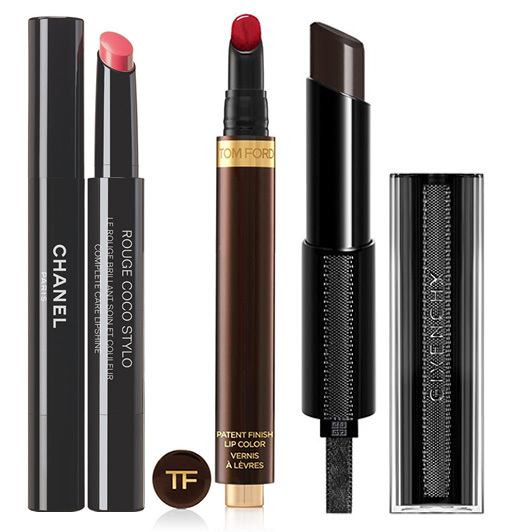 Chanel Rouge Coco Lip Blush Hydrating Lip & Cheek Sheer Colour, $30 from Saks. Chanel is available from Nordstorm, Neiman Marcus, Selfridges and Harrods. I am loving what Lucia Pica is doing with Chanel’s makeup, so many great new products. Spring is the time for new lipstick releases, as we could see in the previous years. And we can see the same situation for SS16, too. I have already posted about the new releases from Clarins and YSL. But there are just so many more coming out our way – think Guerlain, Lancome, Chanel, Tom Ford, Givenchy, Clinique, Estee Lauder, Armani and more. Today let’s take a look at three of them: Chanel, Tom Ford and Givenchy.